A full length portrait of a Mandari man standing in a miltary at-ease manner next to a jeep. He is possibly acting as a driver for Buxton, or a guide to settlements that she is unfamiliar with. Morton, Chris. 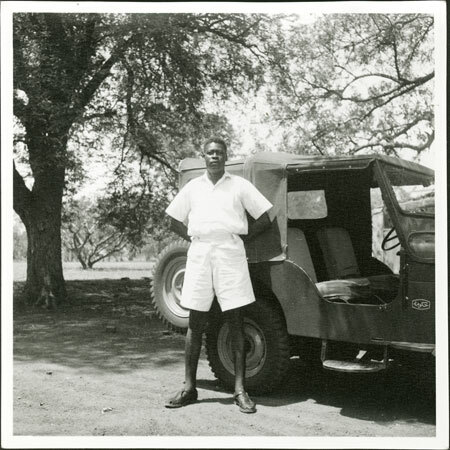 "Mandari man with jeep" Southern Sudan Project (in development). 03 Jan. 2006. Pitt Rivers Museum. <http://southernsudan.prm.ox.ac.uk/details/1998.97.217.2/>.